Here come some of the most highly recommended fundraising ideas for Schools. They are also fundraisers that your kids can get passionate about, will create spirit and increase their participation! Remember though that a successful idea is only successful in execution if you plan and prepare it properly. So take the time to setup your chosen School fundraiser properly and to make it most effective. This is a MUST USE fundraising idea for all schools! It's FREE, highly rewarding, promotes your school brand through the supporters that buy and wear your apparel, and builds spirit amongst your students, parents, and other supporters! You setup a free store through Spirit School Apparel Custom Stores, who will help with the full process of creating your store. You then promote it through your School Website, your Social Media accounts, and through all your students and supporters! To make your Online Apparel Fundraiser a huge success I recommend you click to read this full page for great advice and tips! Unfortunately, SSA Stores are currently only available in the USA, so if you are a School that is not states based and can't use this service, then you'll just have to use the Offline Apparel Fundraiser, which can be just as rewarding. Offline Donation Campaigns can also be highly successful. And the Scratch Card Fundraiser is the perfect way of using your students to get loads of donations from friends, family, acquaintances, and the general public. It's a simple fundraiser that uses a clever way of creating fun and reward for giving a simple donation! Definitely consider this School fundraiser. Grab a Free Fundraising Product guide to find out more and to see what other fundraising products are currently successful. This recommended fundraising idea for schools is a fundraiser that has been raising huge funds for many schools for years now! 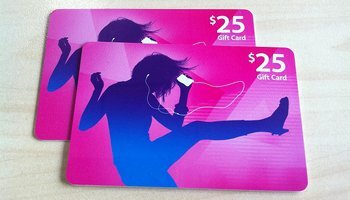 You simply sell Gift Certificates for popular and high demand retailers to your student's parents and other supporters. The merchants love this fundraising idea and so do your supporters, as they are able to use money that they are spending anyway to raise funds for your School. Find out more about Scrip Fundraising here. Raffles have always been one of the highly recommended fundraising ideas for Schools. They are so adaptable and simple to setup, and if done properly will always raise funds. Just make sure you have great prizes (or use a 50/50 raffle) to make it a huge success! Read here for some great raffle fundraiser ideas. A combination of any of the above three. And it's a type of fundraiser that will always be highly recommended and if run properly, highly profitable. For example my old primary School raises huge funds every year through a Silent Auction at the local fair! For all your Auctions, especially your Online Auctions, I would highly recommend you use DoJiggy's Auction Software and Services. They provide an awesome service and will make your Online Auctions really easy to manage. Definitely try out their FREE trial! For a huge resource of fundraising ideas grab a copy of the Fundraising Almanac of Ideas. It's an impressively comprehensive book full of successfully proven fundraising ideas and tips. I'd also recommend you subscribe to the Fundraiser Buzz newsletter to keep up to date with all the new ideas on Rewarding Fundraising Ideas and for other great tips and techniques.